Book 2 hasn't been playing along. It's in worse shape than when I initially started. Is that even possible? Apparently. But, so what? Every book is different, or at least for me it is. This book might take a little longer to whip into shape, but I can do it. 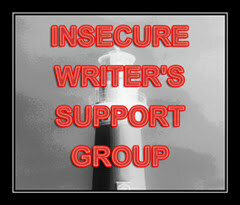 I have noticed that we writers tend to be way too hard on ourselves. Maybe because we have this idea that everything should be perfect, or at least, our writing should be perfect. While achieving that idea of perfection, we drive ourselves crazy, literally. "My writing is terrible." "I'm a failure." And we believe those lies. All because our writing doesn't want to work out how we want it, at that moment. I don't know about you, but I think we should give ourselves a bit of a break. Yes, our first drafts are a mess, but the second and third won't be. Next time you find yourself freaking out, ask yourself "so what?" So what if I can't find the right word for this sentence now, I will later. Agreed. Being perfect is a full-time job in itself:) I'm glad I could cheer you up. When I'm writing, I have to work hard to turn of the perfectionist in me. Me as well. I think it's getting worse for me to think straight and not analyze everything every second. Yes! I completely agree. When we put the pressure on, that's when the muse runs away--because who can handle that kind of weight? We're our own worst critics. We'd never treat other writers so poorly. Hey, let's give ourselves a break! Keep on keeping on, Murees! Thank you! You are so right. Cheers to that break! So what? It's a great thing to say every now and then. Great advice. OH geez! I see what you mean. There I go being all hard on myself again. So I'm still writing that YA series I started 30 years ago. So what? I'll finish it. I just need to be serious about it. And I need to believe I can do it. And I do think I can. Of course you will do something worthwhile. And you can most definitely do it. Choose one project and try and finish it, by writing just a few words a day. It all adds up in the end. But don't give up. If you write, you are a writer:) Don't doubt that, or allow anyone to tell you any different. Great tip! I live in fear that my next paragraph will be the one that takes my book in the wrong direction and there will be no coming back from it. But you can always backtrack and rewrite. Sage advice, Murees. Your post really resonated with me. I'm one of those people who will agonize for hours over one sentence. I need to learn to say "So what," and move on. You're right. It'll come later. Though intellectually I know this, it's tough to overcome my Type-A personality flaws. Guess I'd better buck up, LOL. Thank you for the support. It's good that you're still hanging in there and not giving up. Hoping things improve for you soon. Great advice, Murees! Exactly what I needed to hear :) - I keep putting off working on my first draft because I still have that idea of perfection in my head - but like you said, if we can't find the right words now, we will later. There's no rush :). Have a lovely evening! Great ideas, Murees. You know in your heart that the more you write the better it will be and the more comfortable it would be. I can tell you're feeling somewhat more confident and that's good. "... if I can't find the right word for this sentence now, I will later." I know! And what a pest it can be. My internal editor is forever chiming in:) Best of luck. I think perfection is highly overrated...especially when it comes to writing. In fact, if a book is too perfect, it won't have any heart. I just noticed you put your picture up! I love it! Thank you! I thought it was time I took a chance. I'm in the midst of a project that's been driving me bonkers because I think I keep making it worse. I totally understand how you feel. Best of luck! Thank you! I'm sure you're not making it worse. Don't give up.